Dunne emerged from the play-off with one of the final four spots. PAUL DUNNE EARNED a place in next month’s US Open after coming through a packed qualifying round in Walton Heath, England today. The 24-year-old had been suffering from a throat infection but he finished on -9 after 36 holes of qualifying. That left him in a seven-way tie for 12th place, with only 15 spots available for the Major championship. Dunne emerged from the play-off with one of the final four spots after he birdied the first hole along with four others. England’s Callum Shinkwin and Welsh amateur David Boote were eliminated. Dunne and South Africa’s Thomas Aiken birdied the second play-off hole and booked their place at Erin Hills in Wisconsin. Matt Wallace and Wade Ormsby advanced on the third as Gregory Bourdy was the final one to miss out. Padraig Harrington won’t be joining Dunne after he missed out on qualification with a one-over finish. Email “Paul Dunne secures place in US Open after coming through seven man play-off”. 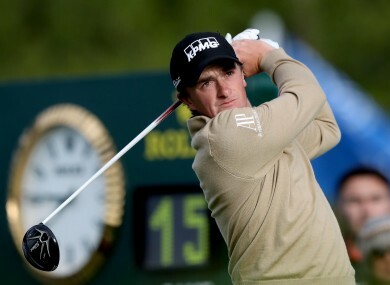 Feedback on “Paul Dunne secures place in US Open after coming through seven man play-off”.